Home » Mariners Cove 1510 SOLD! Admire views of Treasure Cay Marina from both levels of your harbour front townhouse. Fully furnished two bedroom, one and a half bath condominium in popular Mariners Cove residential complex. Tastefully decorated with a tropical flair, this unit in the 1500 building, offers an additional 191 sq. ft. of living space as compared to the other buildings in this complex. An open living /dining concept provides adequate space for entertaining or simple relaxation. Step outside to your covered patio area surrounded by lush, tropical foliage. This space allows you the opportunity for waterfront entertaining or a quiet spot for reading. Mariners Cove provides a beautifully maintained pool and patio area as well as four tennis courts. Other amenities include on-site management, centralized reverse osmosis water system and a large laundry facility. A golf cart garage is also included with the condominium, for storing your “toys”. Only a short distance from shopping and dining, this location is ideal for either a permanent address or a weekend getaway. 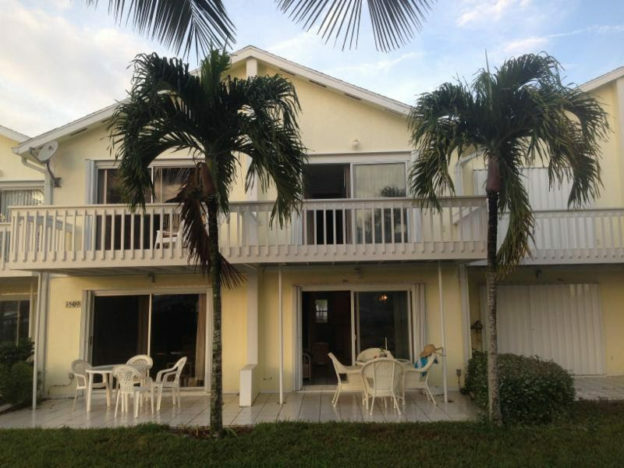 Close to the beach and water sports, it also provides excellent rental potential. This condominium holds endless possibilities of vacation moments from sand and sea to dining under the stars. Admire the view..live the experience …of Treasure Cay!